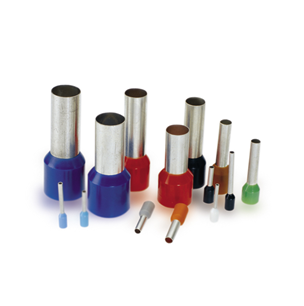 We are offering a wide assortment of Cord End Terminals, procured from a variety of manufacturers. In the past few years, we have grown as one of the major Cord End Terminal Suppliers in Abu Dhabi, UAE. We have been catering the needs of various industries in the gulf countries right from the inception of our firm. Customer Delight Trading takes pride in making available a selection of Cord End Terminals at reasonable prices to all its esteemed patrons. We obtain these Cord End Terminals from reputed international manufacturers, who guarantee the better quality of the products. At our home facility, we send these Cord End Terminals for a strict quality check to ensure that the products sent to the clients are of superior quality. We can meet up even the mass requirements of the clients within the stipulated timeframe. manufactured from electrolytic copper capillary tube with a tinplated finish to improve electrical contact. insulating part is made of polypropilene (PP).